Move your mouse over the routes to see where OR-7 went in 2012. Click on paw prints to see visual moments in OR-7's journey. This spells "Aqutaq" in Yupik, which means "ice cream"
OR-7, also known as "Journey", is the first wolf back in California in nearly a century, and his whereabouts have been tracked via tracking collar. 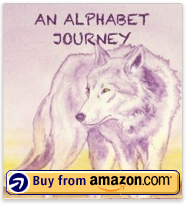 This interactive map is a supplement to "An Alphabet Journey," a picture book about OR-7. You can follow Journey on his journey through Oregon and California in the book, or in a different way, on this map--both will take you on unique interpretations of the famous gray wolf's trek. Mouse over route sections to see where OR-7/Journey travelled in 2012. Click on paw prints to open illustrated vignettes of Journey's wanderings and click on the question mark to learn more. You can also click on the vignette buttons below the map to view the terrain and wildlife features. Click on the paw print by Marin to meet Aqutaq, an arctic wolf. For discussion questions related to the map and the book click here. 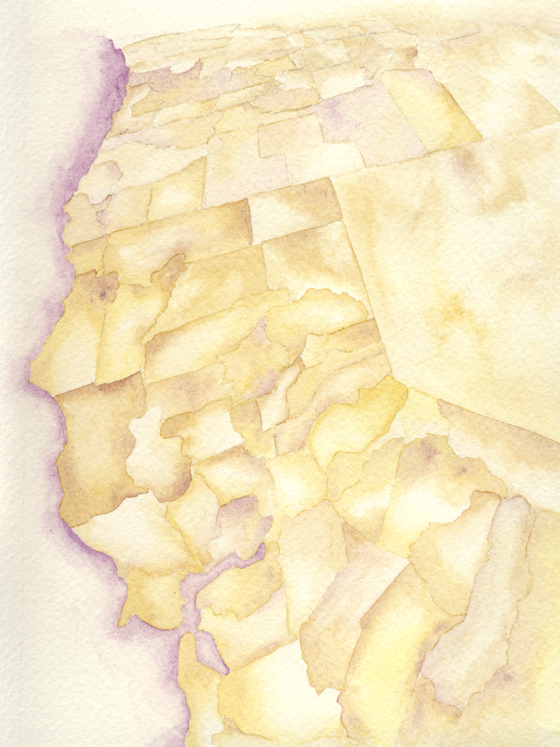 The map is a watercolor painting based on a satellite projection of the Pacific Northwest. The vignettes and paw prints are likewise watercolor paintings in the same style and palette. The route data is derived from purposefully ambiguous reports (for his protection) of OR-7's location as provided by California Department of Fish & Wildlife. The routes and landmarks are overlaid using the same satellite projection via the D3.js library to provide interactive functionality. This project contrasts with the traditional GIS-driven maps of OR-7 available through various wildlife agencies and focuses more on sharing a narrative of the travels of this wild animal while still providing accurate geography.